NO MAINTENANCE REQUIRED – no need trim and watering for people who have a busy schedule or but want to enjoy the overflowing of greenery in office, conference hall as the tabletop plants or floor plants – Artificial Wisteria Flowers Hanging Vine. 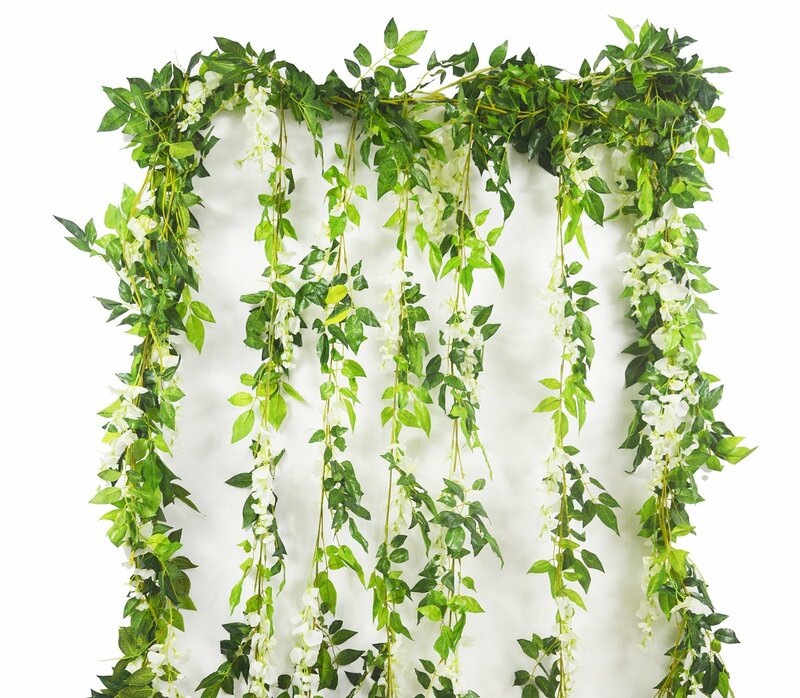 artificial hanging vines – NATURAL LOOKING FLOWERS Full and soft petals,Natural-looking;flowers are full and rich ,hanging effect is better. Leaf texture clear, shiny surface of the blade. ARTIFICIAL WISTERIA FLOWERS – Leaves and flowers were made from silk and the stems were made from plastic and iron wire. EACH ORDER CONTAIN 5 STRANDS. DOES NOT INClUDE METAL ARCHES. 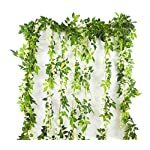 artificial leaves garland – PERFECT QUALITY AND DECORATION USAGES – POISONLESS AND HARMLESS This fake plants flower ivy leaf garland vine is made by hand, very small shedding and you can plug it by yourself.